A Riddle To Tease Your Brain: What Has A Foot But Has No Legs? Brainteasers are so much fun, especially when it comes to riddles. Sometimes, you may have a simple sentence to find the correct answer to and, at other times, you may even have a whole story with a big riddle at the end of it. READ ALSO: Riddle: Mary's Father Has Five Daughters - Nana, Nene, Nini, And Nono. What Is The Name Of The Fifth Daughter? One thing all riddles have in common is that they challenge you to really take your time to think before coming up with an answer. To successfully figure out a riddle, you have to take some time to explore its meaning and its possible hidden message. All this is worth it because there's that feeling of accomplishment you get when you finally arrive at the answer. That's why we're enjoying today's riddle. If your day has been dull so far, then you're about to experience a fun boost. The riddle of the day is simple: What has a foot but no leg? Now, at first, this seems super confusing. How can something have a foot but no leg to go with it? Impossible, right? But as we previously mentioned, you may need to look at things from a different perspective when it comes to riddles. READ ALSO: The Theresa Riddle: How Fast Can You Solve This Puzzling Question? So take a minute to really think about it. Did you get it yet? If you did, fantastic! And if you didn't, that's okay too. 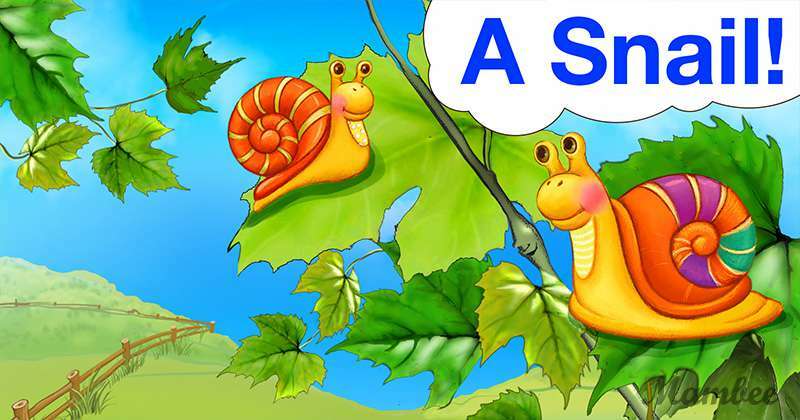 But the answer is quite obviously simple: A snail! If you're still lost, then perhaps a quick lesson in snail's anatomy will help you out. You see, a snail moves about with the use of a large, muscular structure which is technically called a foot. But despite the fact that it has this "foot", it actually isn't walking with legs. The snail's muscular foot and the mucus which it secretes helps to lubricate virtually any surface and makes it easier for the animal to glide easily about. Did you have fun with this riddle? Or perhaps you enjoyed learning something new about snails today? If the answer is yes, then don't hoard all the fun. Share this post with friends and family so they have a great time, too. But before you go, here's an opportunity to learn something else that's pretty cool. This video contains some great hacks on how to store and display your jewelry. READ ALSO: Two Mysterious Doors. One Dishonest Guard. Can You Solve This Riddle To Figure Out Which Door Leads To Heaven And Which One Leads To Hell?